1. In the four years since Operation Cast Lead, Iran has played a major role in rebuilding and upgrading the military capabilities of Hamas (whose relations with Iran have been strained by the rebellion in Syria) and the PIJ (the organization closest to Iran) by providing them with high-quality weapons that have been used by Hamas and the PIJ in Operation Pillar of Defense. In addition, Iran has assisted these organizations by having their operatives undergo training with the Islamic Revolutionary Guards’ Qods Force, providing them with financial aid, and helping them with know-how for local weapons production. 2. The Iranians have focused mainly on expanding and upgrading the rocket arsenal of Hamas and the PIJ, which includes long-range Fajr-5 rockets capable of reaching the Tel-Aviv area. Most of these rockets were destroyed in the IDF’s opening shot, although the terrorists preserved some collateral capability: sporadic launches of Fajr-5 rockets into densely populated areas in central Israel were portrayed by Hamas and the PIJ as their main achievement in the operation. 3. Prior to Operation Pillar of Defense, the Iranians and the Palestinian terrorist organizations were careful to avoid public disclosure of the Iranian military assistance, including the efforts to upgrade the terrorist organizations’ rocket arsenal. During the operation, there was a change in the disclosure policy of the PIJ and Hezbollah, which launched a media campaign (possibly at Iran’s request) to publicize the military assistance provided by Iran, Syria, and Hezbollah to the terrorist organizations in the Gaza Strip. For instance, PIJ leader Ramadan Shalah and his deputy Ziad al-Nakhala repeatedly praised Iran’s assistance in arms and ammunition, funds, and know-how for local production of weapons. Hezbollah leader Hassan Nasrallah also stressed the importance of the military assistance extended by Iran, Syria, and Hezbollah, evidence of which could be seen in the military capabilities demonstrated by the organizations during the current round of fighting. The Iranian media, too, had praise for Iran’s military assistance to the terrorists; however, the assistance was also denied and criticized (which had to do, among other things, with concerns over lawsuits in Western countries). 4. It is our assessment that the exposure of the Iranian military assistance, including the Fajr-5 rockets provided to the terrorist organizations, reflect Iran’s deep frustration with the way Egypt and its allies (Turkey and Qatar) are taking charge of the mediation efforts to stop the fighting, turning Cairo into a venue for the talks. These countries, in Iran’s view, take a patronizing approach to the Palestinian problem, benefit politically and publicity-wise, and take away Iran’s credit for the massive military assistance it has provided to Hamas and the PIJ and which has allowed them to fight against Israel. 5. What is more, we believe that the Iranian frustration has to do with the fact that Operation Pillar of Defense has made apparent the growing status of the Muslim axis led by the Muslim Brotherhood on the inter-Arab scene and vis-à-vis the United States and the West. This could be seen in commentary articles published in recent days by the Iranian media, whose support for Hamas was overshadowed by their criticism of the leaders of Arab countries for not extending practical and actual assistance to the Palestinians. a. PIJ leader Ramadan Shalah was asked to comment on Khaled Mash’al’s statement according to which there are differences of opinion between Hamas and Iran over the Syrian crisis. He replied that, even if there really are differences of opinion on the issue of Syria, there are no differences of opinion with Iran on what is happening in “Palestine” with the [Israeli] “aggression” against Gaza. He added, “On this issue we agree with Iran one hundred percent. Iran has given us all the support. The weapons used by the resistance – the whole world knows that they come mostly from Iran or purchased with Iranian funding.” Ramadan Shalah added that these weapons are delivered to the Gaza Strip via Egypt, and that such shipments will continue in the future (Al-Jazeera, November 20, 2012). 1. “We would like to thank our brothers in Iran for the great sacrifices they made to deliver this weapon to us [a reference to the long-range Fajr-5 rockets which can reach Tel Aviv] for the sake of defending the Palestinian people…” (Ziad al-Nakhala interviewed by the PIJ’s PalToday website, November 18, 2012). 2. Ziad al-Nakhala rejected the rumors that the current escalation was the implementation of an Iranian plan. He said that“…the weapons used by the resistance to fight, even Hamas’ weapons, are Iranian from the first bullet to the [last] rocket, even what is produced locally is in fact [based on] Iranian [know-how]…” (Al-Hayat, November 18, 2012). 3. 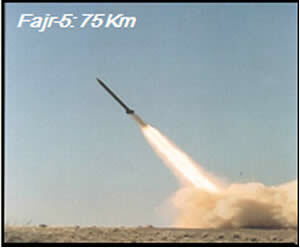 Ziad al-Nakhalawas asked by Al-Alam, the Iranian Arabic TV channel, about Fajr-5 rockets. He answered that the rockets, which had brought victory to the Palestinians, had been provided by Iran. Asked if the Palestinians would stop smuggling weapons into the Gaza Strip if a lull were agreed to, he answered vaguely that the PIJ was an independent body which armed itself to be able to defend itself (Al-Alam TV, November 19, 2012). 4. PIJ spokesman Dawud Shihab said the following in an interview to the Lebanese channel Al-Mayadeen: “It is no secret that we say that the military assistance provided to the Palestinian resistance – from A to Z, from bullet to rocket – is assistance from the Islamic republic, Iranian assistance. This is something we should say, and it is very appropriate for us to say so clearly and without being ashamed” (Al-Mayadeen, November 19). b. He answered that it was important to emphasize the role of Iran and the role of Syria in that context. He spoke with contempt of the countries which sent medicines to the Palestinians [i.e., Egypt] or gave them “paltry sums of money” [i.e., Qatar]. He stressed the importance of [Iranian and Syrian] military aid, which enabled the Palestinian organizations to attack Tel Aviv and Jerusalem, to open fire on planes and boats and to destroy armored personnel carriers. On the other hand, he said, the Arab countries which sent boatloads of weapons to the Syrian opposition did not have the courage to send even one bullet to the Gaza Strip. c. The real challenge for the Arab-Muslim world, said Nasrallah, was for the Arab and Muslim countries to have the courage to send weapons to the Gaza Strip starting today. The Israelis, on the other hand, he said, were gambling that the Gazans would run out of rockets. d. Nasrallah related to the alleged claim that Iran had abandoned Hamas because Hamas had left the “camp of the resistance.” He said that Iran, Syria and Hezbollah would not abandon the Gaza Strip [i.e., the terrorist organizations operating there] and would continue to meet their obligations to it, even if certain political disagreements existed [a reference to the disagreements between Iran and Hamas regarding the rebellion in Syria and Hamas’ opposition to the Syrian regime]. a. The article, titled “What strategy will the resistance adopt after the victory?”, begins with the question of why Khaled Mash’al did not thank Syria, Iran, and Hezbollah for the direct military assistance they provided to the “resistance forces” in the Gaza Strip. Mash’al did, on the other hand, lavish praise – and more than once – on Egypt, Turkey, and Qatar for standing by the people of the Gaza Strip. b. The article goes on to argue that Khaled Mash’al did not fulfill his duty toward Iran and Syria, which invested huge efforts, spent tens of millions of dollars, and sacrificed people to develop the military capabilities of the “resistance forces” (i.e., the terrorist organizations) in the Gaza Strip, mainly their artillery capabilities. There were no particular interests involved in providing the assistance. Instead, what motivated the assistance was the sense of a “holy mission”, ideology, and devotion to Allah. c. The ceasefire between Israel (“the enemy”) and the terrorists (“the resistance”), which will be reached soon, must not lead to moves that are not grounded in “the core of resistance” and do not reflect its objectives. Accordingly, those who believe they support “the resistance” (i.e., Egypt and its allies) need to provide it with actual support. That’s because there is an ongoing campaign being waged between “the resistance” and “the occupation”, in which “armed resistance is a real and permanent option”. d. The terrorist organizations (“the resistance”) have managed to demonstrate that their artillery is capable of hitting sensitive centers in the very heart of Israel (“the heart of the enemy”). This means that these artillery capabilities played a crucial part in thwarting the Israeli aggression, which leads to the question of what the “resistance forces” (i.e., terrorist organizations) will do next. Will they agree to a sustained ceasefire (hudna) for “governmental profits” and will settle with the rehabilitation of their [civilian] infrastructure, or will they rebuild the quality military and artillery force that can deter Israel from repeating its aggression (an alternative which Ibrahim al-Amin seems to imply he supports). 9. Citing top Iranian officials, media in Iran, too, praised the Iranian military assistance to the Palestinians, which was demonstrated in launching Fajr-5 rockets during Operation Pillar of Defense. Similarly to the remarks made by the leader of Hezbollah, the assistance was used to slam other Islamic countries (i.e., Egypt and its allies) for not providing the Palestinians with the weapons and assistance they require. However, there has also been criticism in the Iranian media of Iran’s claim of responsibility for providing the terrorists with rockets, motivated, among other things, by concerns over lawsuits against Iran in the West. a. Speaking before the parliament on November 21, Ali Larijani said the following: “I am proud to announce that our support for the Palestinians was in money and arms. We are proud to announce that we will continue standing by the Palestinians in the most difficult of situations” (Fars News, November 21, 2012). b. Deputy parliament speaker Mohammad Hassan Abu Torabi Fard gave a speech before the parliament on the role of the Iranian armed forces in building up the military capabilities of the Palestinian fighters in Gaza. “The ability of Iran’s armed forces was demonstrated in Gaza and resulted in the humiliation and helplessness of the Zionist regime”, he said (Fars News, November 18, 2012). c. The Kayhan newspaper said that, while Hamas is firing Iranian missiles at Israel and the leaders of Arab countries remain silent, Hamas fighters and hundreds of millions of Muslim observers in the region now know better than ever that Iran is the one that supports the Palestinian people and places no significance whatsoever on differences between Shi’ite and Sunni Muslims (Kayhan, November 17, 2012). d. On November 21, 2012, Fars News Agency published an article on the strategic change caused by Iran’s massive investment in the missile industry. The article said that the missile systems can to a great extent determine the outcome of the asymmetrical war, which is why Iran’s investment was not in vain (implicitly referring to Iran’s “investment” in supplying rockets to the Palestinian terrorist organizations). 11. The Asr-e Iran website criticized reports that appeared in the Iranian media in recent days that the missiles used by Hamas are made in Iran. The website said that, by using this argument, Iran takes away from the heroism of the “Palestinian resistance fighters” and credits itself for the struggle against Israel. In addition, such claims could have negative political and legal implications given the large number of lawsuits filed against Iran in Western courts by victims of terrorist attacks in Palestine and Lebanon. These lawsuits are based on the claim that Iran has relations with Hezbollah and Hamas and provides them with weapons. Even if Iran did provide Hamas with Fajr-5 missiles, making such claims is inappropriate in the current circumstances and at a time when the Iranian regime itself denies it (Asr-e Iran, November 19, 2012). a. Revolutionary Guards Commander Mohammad Ali Ja’fari was asked whether the rockets launched by Hamas were Iranian. He answered that Iran puts its experience at the disposal of all Muslims, including Palestinians in the Gaza Strip. He admitted that Iran provided them with technology which enabled the manufacture of Fajr-5 rockets (note: such a statement may imply that Fajr-5 rockets were delivered to the Palestinians) (ISNA, November 21, 2012). 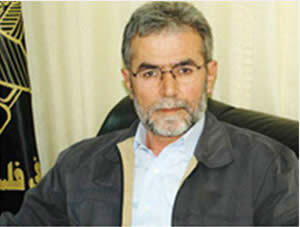 b. Alaeddin Boroujerdi, chairman of the National Security and Foreign Policy Committee in the Iranian parliament, argued that, contrary to what Israel says, Iran does not equip the Palestinians in the Gaza Strip with missiles capable of hitting Tel-Aviv (Akhbarak website, November 18, 2012). For more information, see our March 17, 2011 Information Bulletin: “Terrorism from the Gaza Strip since Operation Cast Lead: Data, Type and Trends”.